Your voyage of a lifetime across South and Western Australia awaits you. Immerse yourself in the must see’s of these two unique states from the comfort of cruise and rail. Exclusive to Holidays of Australia & the World. Escape the noise from the cosiness of the Barossa & Adelaide Hills. Tick Broome off your bucket list from your cruise on Sun Princess. Experience an immersive overnight in WA’s Margaret River region. Full day Barossa & Hahndorf Highlights tour. 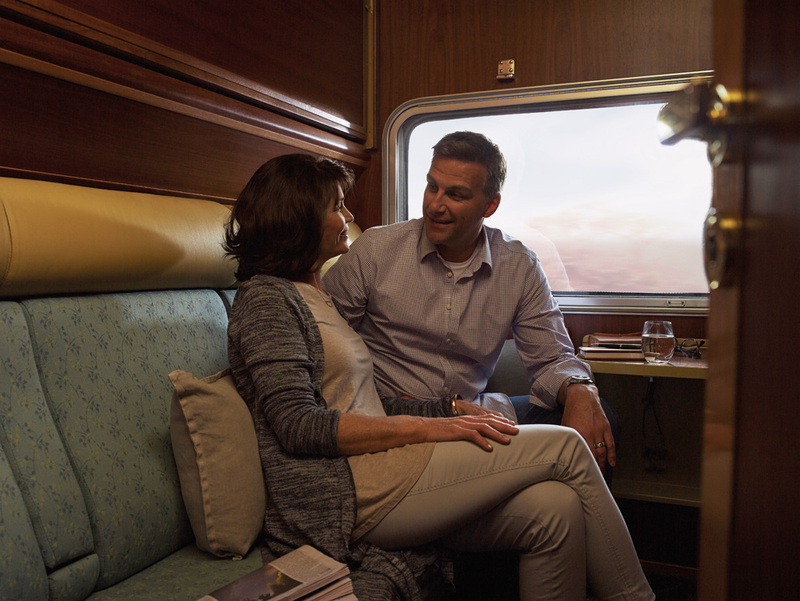 2 nights onboard The Ghan travelling from Adelaide to Darwin in Gold or Platinum Service. 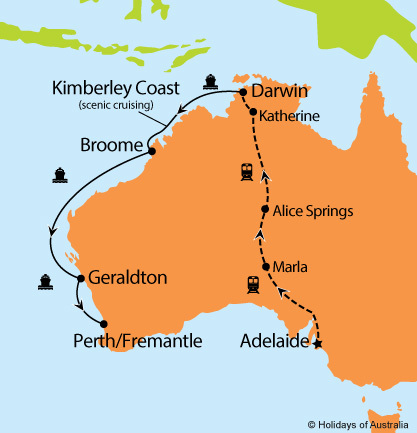 Your journey includes all meals, drinks and off train excursions in Marla, Alice Springs and Katherine. 3 night stay in Darwin at Doubletree By Hilton Hotel Esplanade including breakfast. 7 nights aboard Sun Princess cruising from Darwin to Perth with port calls in Kimberley Coast (scenic cruising only), Broome & Geraldton. Your cruise includes on board meals and entertainment. Transfer from the cruise terminal to your accommodation with half day Perth City Sights tour.